The French Quarter, New Orleans, Louisiana. The Louisiana Creole Research Association, or LA Creole, is dedicated to preserving Creole culture through historical/genealogical research, educational programs, and celebrations. New Orleans is the First City of Opera, presenting the first opera in America on May 22, 1796. 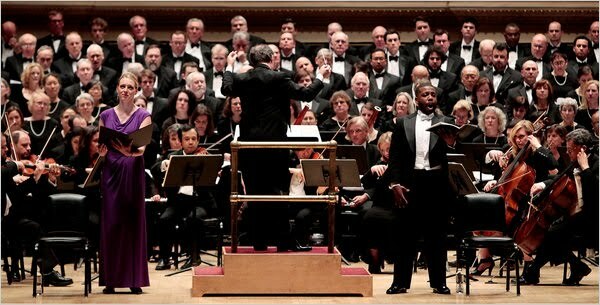 From the early nineteenth century, the city’s Creoles of color have been great supporters of opera, and composed and performed the finest classical music. For several decades, the organists of Saint Mary’s Church were among the members of the free Creole community. Among these organists, was Samuel Snaer, who composed a Mass for Three (male) Voices, which was widely known. It was in Saint Mary's Church, that Venerable Henriette Delille, a free Creole of color, and the early Sisters of the Holy Family were solemnly professed in 1852. (1) U.S. Premiere of scenes from La Flamenca by Lucien Lambert (1858-1945), the son of New Orleans free Creole composer, Charles Lucien Lambert (1828-1896) - who was one of three free Creole composers (including Snaer and Bares) who were organists at St. Mary's before leaving New Orleans. Lucien, fils studied with Massenet in Paris, and debuted La Flamenca at the Théâtre Gaité in Paris, 10 days after Herodiade opened the 1903 season. 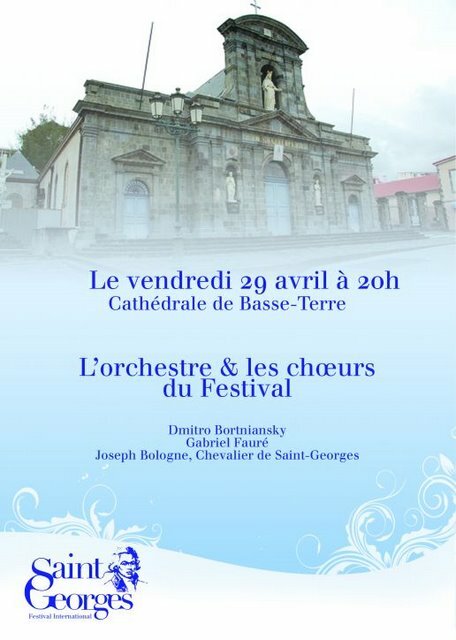 OperaCréole intends to present the full opera soon. (2) Scenes and arias by other composers of color: Le Chevalier de Saint-Georges, and William Grant Still will also be presented, as well as the work of Creole composers Edmond Dede and Samuel Snaer. 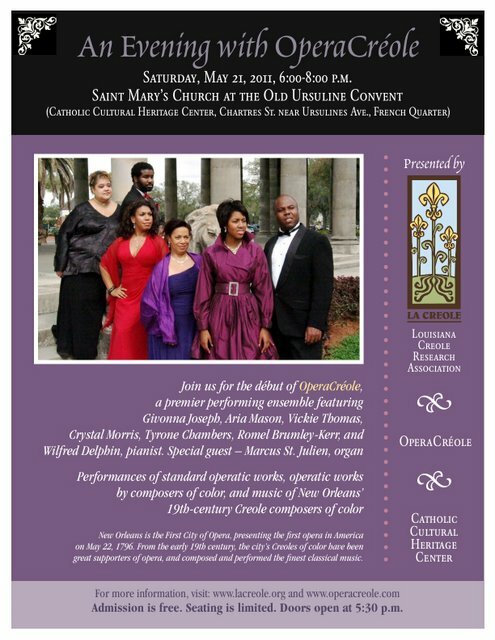 (3) The program will also pay tribute to N.O. 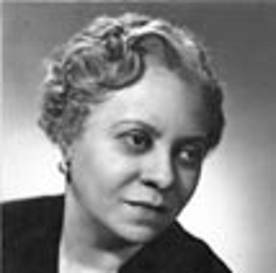 African American opera pioneers, and Sr. Elise Sisson, SBS (formerly with The Met), who began the opera program at Xavier University in the 1940s. Admission is free however, seating is limited. Doors will open at 5:30 p.m. For more information, visit http://www.lacreole.org or http://www.operacreole.com. Location: Glenn Gould Studio; 250 Front Street W.
And Still We Sing...Esperanza y Luz is the final installment of The Nathaniel Dett Chorale’s 2010/2011 Toronto series. A lush program with an underlying theme of hope and light, this concert presentation will illuminate many colourful facets of the African Diaspora with alluring works from a variety of renowned composers. The Chorale embraces the music of Silvio Rodriguez offering beautiful arrangements from his musical opus, including his Venga la Esperanza which is loosely translated to mean “Hope Comes”. Una Forma Más, a piece by René Baños which was co-edited by Nathaniel Dett Chorale alumnus Jamie Hillman, is an expressive work that embodies traditional Cuban rhythms and conveys the Latin spirit through the positive message of hope. The concert is rounded out with compelling settings by Adolphus Hailstork, including his Arise My Beloved; as well as Carlos Alberto Pinto Fonseca’s Missa Afro-Brasiliera – a fan favourite that will be the focus of a soon-to-be-recorded CD. 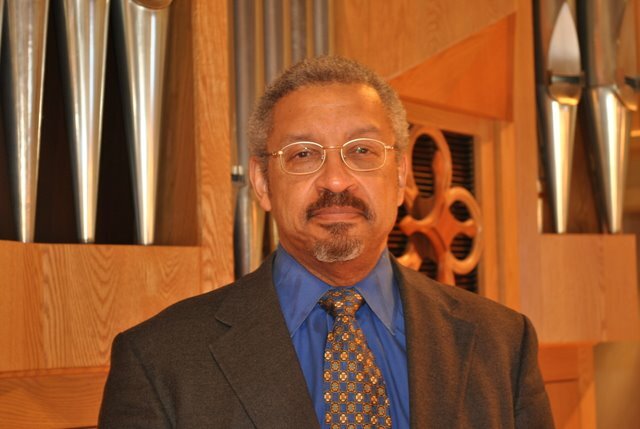 The Walker and Kerr pieces appear in MorningStar Music Publishers' critically-acclaimed "African-American Organ Music Anthology," edited by Mickey Thomas Terry. Admission is free to the public. 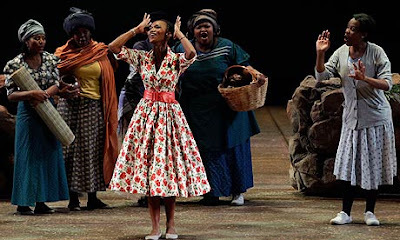 “The opening night of Winnie the Opera won a standing ovation, but the biggest cheer of the night was for Mrs Madikizela-Mandela herself, as she took to the stage saying the moment had 'surpassed all previous accolades'. The 74-year-old sat among family and friends at the State Theatre in Pretoria to watch last night's world premiere of the much-anticipated opera which tells the story of her life as the wife of former South African president Nelson Mandela, and her role in the country's anti-apartheid struggle. Patrick D. McCoy documents the noted conductor Julian Wachner at the crossroads of three major music events: The Music of Elena Ruehr in DC, Bach at One in NYC and back in DC for Mahler rehearsals. Apr 27, 2011 – The African-American Voice in Classical Music, Patrick D. McCoy recently covered a triptych of musical events in the life of conductor Julian Wachner: The Music of Elena Ruehr, Bach at One at Trinity Church-NYC and back for rehearsals of Mahler in DC with The Washington Chorus. McCoy was afforded the opportunity to travel with Wachner to NYC to get an in depth look at his work at Trinity Church and the first press to cover the mammoth Bach at One Series, a groundbreaking series dedicated to presenting a full Bach cantata every Monday at 1 p.m.
A native of Hollywood, California, Wachner was introduced to music at an early age with cello and piano lessons at the University of Southern California at age 4. As a chorister in the St. Thomas Choir School in New York City, he studied with Gerre Hancock. 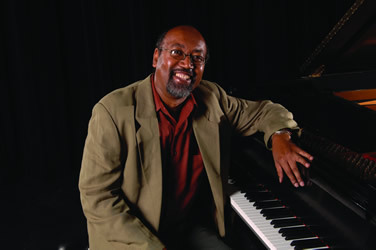 Graduating with a Doctor of Musical Arts degree from Boston University’s School for the Arts, he studied with notable teachers, including David Hoose and Lukas Foss. For a complete biography, http://www.julianwachner.com. 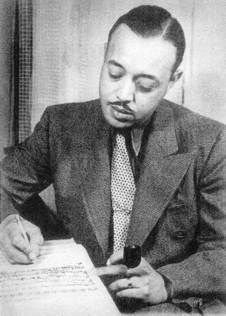 “Buffalo Opera Unlimited will present a program dedicated to the music of William Grant Still. 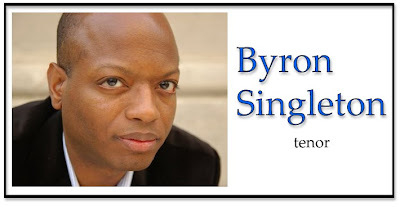 He was considered the 'dean' of African-American composers. He was first to conduct a major symphony orchestra, first to have his symphony and opera performed by a major orchestra and major opera company. “WHAT: Students from the Berklee City Music ensemble and the Harlem-based Harbor Conservatory for the Performing Arts, Boys and Girls Harbor, Inc. honor legendary musician and music education advocate Quincy Jones with a musical tribute including the Lioness Hunt from "The Lion King" on Broadway. 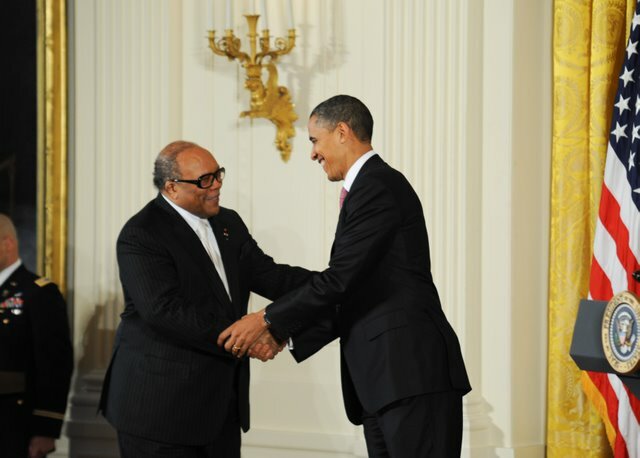 “WHY: Since 2009 Grammy Award-winning producer, arranger, composer, and Berklee College of Music alumnus Quincy Jones has served as Berklee City Music Ambassador and championed the organization's cause to bring music education to children in under-served communities. Mr. Jones cited Berklee City Music as a model for youth music programs and has been an inspiration to the children who benefit from programs like Berklee City Music and Music Unites. Now the children are honoring Mr. Jones and showing their appreciation with a musical tribute. An impresario in the broadest and most creative sense of the word, Quincy Jones’ career has encompassed the roles of composer, record producer, artist, film producer, arranger, conductor, instrumentalist, TV producer, record company executive, magazine founder and multi-media entrepreneur. As a master inventor of musical hybrids, he has shuffled pop, soul, hip-hop, jazz, classical, African and Brazilian music into many dazzling fusions, traversing virtually every medium, including records, live performance, movies and television. Berklee City Music is a nonprofit program offered by Berklee College of Music that provides music education to 4th to 12th graders in under-served communities. With year-round instruction, expert faculty, individualized mentoring, and a comprehensive curriculum, Berklee City Music combines the breadth of Berklee resources, facilities, and available scholarships with an environment of attention and encouragement. Kids get the tools and support they need to flourish as students, musicians, and—perhaps most important—confident and well-rounded individuals ready to shape their world. Jean-Claude Halley of Guadeloupe has informed us of the release today of a new book in French about Le Chevalier de Saint-Georges. The title can be translated as: Le Chevalier de Saint-Georges: An Extraordinary Contemporary of Mozart. The book was written by Michelle Garnier-Panafieu and was published by YP Éditions. 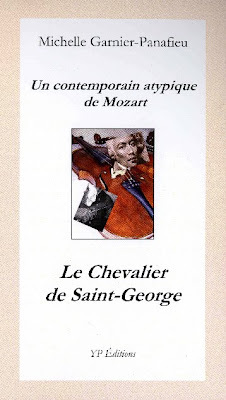 It is a special edition for the first International Saint-Georges Festival, in 2011. The book is being presented to the public for the first time at two events today, 10:00 AM and 7:00 PM, April 27, 2011. At 7:00 PM the author will give a presentation which could be translated as An Extraordinary Musician in Enlightenment France. Michelle Garnier-Panafieu is a Musicologist with a Ph.D. in Music, and does research as well as teaching. 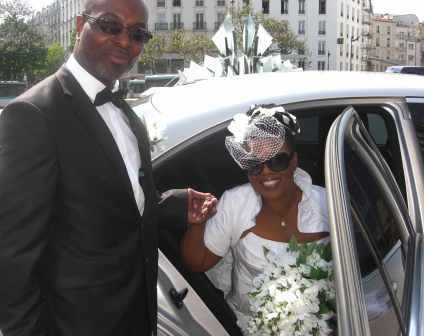 She is presently a lecturer at the University of Rennes II in the field of Music History. 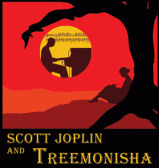 “Considered the first grand opera written by an African-American composer, Scott Joplin's Treemonisha will be presented at the Roxbury Center for Arts at Hibernian Hall the last weekend in April. 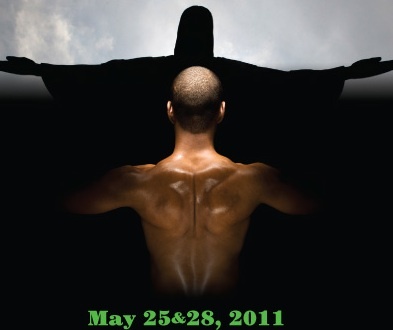 The performances from April 29 through May 1 are a collaborative effort of the arts center, Mssng Lnks and Opera Boston. Admission is free, but donations are encouraged. The Friday and Saturday shows begin at 8 p.m., while Sunday's begins at 3 p.m.
“This evening’s performance was such a dynamic and beautiful interaction that it is a perfect example of why I founded Music Kitchen. This was the first concert of the shelter season at Holy Trinity Lutheran Church, and what an absolutely warm, wonderful group of men were in attendance this evening. 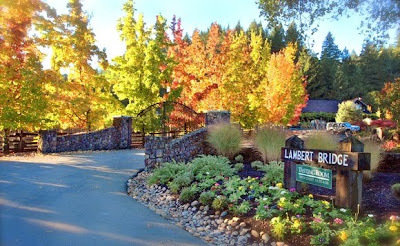 Kyle and I brought our Mozart G major duo and Handel-Halvorsen to this location, same as at Turning Point on Tuesday of this week. Here the men are not residents, but are brought in for the night, having to leave early in the morning as part of the arrangement. Kyle and I were rehearsing a bit of our duo as they arrived but stopped short when they entered so as not to give anything away too soon. 'That's nice,' someone said, 'don't stop.' I assured him that we would begin in earnest in a few minutes. “Unlike some occasions when the men enter with a sense of edginess or apprehension, this group was very easy-going and open right away. They came in, made up their beds then sat at the tables facing us eagerly. And right away, before we officially started to play, the dynamic interaction began. One energetic and outgoing man, 'Donny' said, 'Wow- I mean we’re at a shelter. I wasn’t expecting this. This is great! I can’t believe it. I mean we’re at a shelter, you know?' The same man continued, 'Do you have anything meditative? I mean I spent the whole day looking for a job; I’m just so stressed out.' We told him that we had just the perfect thing for him - the lovely, singing slow movement of the G major he would soon discover. “But after they applauded our first movement, they brimmed over with fascinated questions. When did we start, what type of wood is a violin made out of, what’s the difference between a violin and viola, who invented the violin, which one of the composers was deaf, did Mozart know Beethoven and on and on, many more questions that I no longer remember. We were excited to share more music with them as they were obviously drinking it all in. 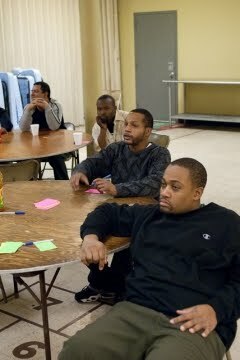 Also clear was that there was vast knowledge base and curiosity among the people gathered tonight. We played that singing slow movement and 'Donny' said it was exactly what he needed. “Another man, obviously very intelligent but a bit more reserved added his one word commentary- 'Bellissimo.' 'I knew it,' I said. 'You are a musician.' 'In another life,' he said, unwilling to reveal more. We finished the piece after another long round of laughs and discussion. More people had gotten into the game than just Donny and we all enjoyed the easy interaction. 'You’re like the chorus' one man said to Kyle, 'and you’re like the lead melody.' Great observation I told him, but we also explained how chamber music has rotating roles at different times, depending on what period of music. We went on to the 3rd movement of the Mozart, which was followed by enthusiastic applause. “I concluded by asking, almost rhetorically, 'So what do you think of Mozart?' 'I like him, but I would have to hear his competition to really judge.' Interesting response! We went on to the Handel-Halvorsen, - the work based on a Baroque melody with the full throated romantic virtuosic treatment. They responded very much to the more emphatic style of music and asked how that was achieved, how the pressure of the bow affected the sound. 'And clearly you love the music, you can see it' one said of us. This performance could have lasted several more hours if we had had them to spend. I have been in China working for the New National Arts Center, and the Central Conservatory. I have now returned to Bermuda, after a very long absence. I am still singing, against all odds, I have two more concerts - Mozart's Requiem and Gounod's St Cecelia Mass. I pray that they will be the last. "I am now in the process of doing a new edition of Dido And Aeneas. I have also just finished editing and writing 99 Children's songs, Lyrics and music by Persis Butler, to be published for the music programs in public schools. I hope that this will help you. 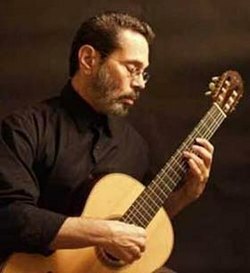 “The Cuban composer Leo Brouwer has written prolifically for orchestra and chamber ensembles as well as for film. (His most famous work, to American filmgoers, is the score for 'Like Water for Chocolate.') But he is also an accomplished guitarist, and he has contributed a huge number of inspired works to his instrument’s repertory. By the mid-1970s several of his pieces — 'Elogio de la Danza' (1964), 'Canticum' (1968) and 'La Espiral Eterna' (1971) — were part of the canon, and he has continued to write generously for colleagues. “Benjamin Verdery, the director of the 92nd Street Y’s Art of the Guitar series, rounded up five soloists and two ensembles for an overview of Mr. Brouwer’s guitar music on Saturday evening. He reserved the most famous piece for himself, offering a fluid, free-spirited account of the swirling, rich-textured 'Espiral Eterna,' in which the score’s hypnotic, rippling arpeggiations were less arresting than the (usually subsidiary) muted, percussive passages. 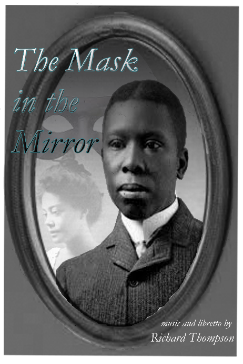 In 2009 John Malveaux of MusicUNTOLD.com brought to our attention “The Mask in the Mirror”, an opera by Richard Thompson, a pianist and composer. 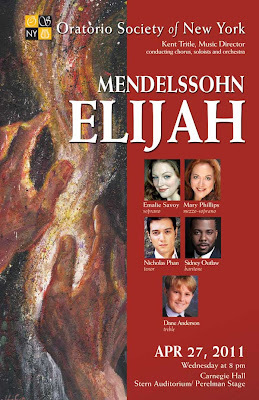 Empire Opera is about to present excerpts from this work, with Byron Singleton, tenor, singing the role of Paul Laurence Dunbar. Empire Opera welcomes The Hudson Quartet and Richard Thompson for a showcase of excerpts from new works followed by a lavish reception with food and wine. “The eight spirituals on the program (14 settings were originally commissioned in 2004 and 2005) are by composers of many heritages including Haitian (Daniel Bernard Roumain), Jewish (Stephen Dankner), Chinese (Bun-Ching Lam) and Cuban (Tania León). “As an example of just how deeply spirituals have permeated our culture, Miller recalls that he grew up singing 'Go Down Moses' at Passover. 'I thought it was a Jewish song until I was 20 or so,' he says. 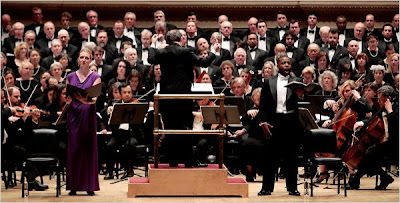 “Gordon Getty Concerts series presented Metropolitan Opera Artists Saturday, April 16, 2011. The Concert complimented the exhibition Spirit of an Age: Drawings from the Germanic World, 1770-1900. The all-German program included African American clarinetist Anthony McGill and bass baritone Terry Cook with guest pianist. Kelly Hall-Tompkins is one of New York City’s most in-demand violinists, whose dynamic career spans solo, chamber, and orchestral performance. 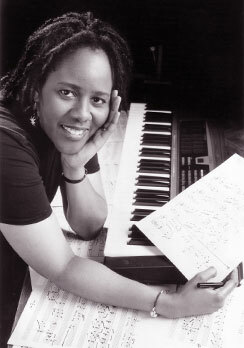 Ms. Hall-Tompkins has been soloist with the Dallas Symphony, Chamber Orchestra of New York, Western Piedmont Symphony, Greenville Symphony, Philharmonic of Uruguay, Monmouth Symphony, the Gateways Festival Orchestra, the Festival of the Atlantic Orchestra, and the Atlanta University Orchestra and her performances in recital have been featured on several occasions on the McGraw-Hill Young Artist Showcase, broadcast in New York by WQXR. Her solo performances also include Washington, DC (National Academy of Sciences), Chicago (Dame Myra Hess Series, broadcast live by WFMT Radio), Baltimore (Peggy and Yale Gordon Trust); and, through a special grant from the IBM Corporation, at the Peace Center in Greenville, South Carolina. 165 West 65th Street, 10th Floor, Chamber Music Society of Lincoln Center. 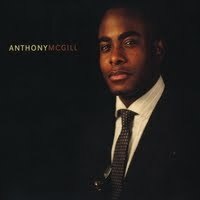 Proceeds go directly to the Imani Winds Chamber Music Festival 2011 Scholarship Fund. Tickets $35 purchase here, $40 at the door, make a donation if you can't attend! Silent Auction, early opportunity for these great gifts! Dinner for two in the Cloister's renowned "New Leaf Cafe." One hour massage by Swedish-Institute trained Body Therapist Tymaree Cook. Box CD set of Imani Winds albums with collectors autographs of Wayne Shorter, Paquito D'Rivera and Jason Moran. Hobbs Glassworks unique glass sculpture. CUSTOM COMPOSED piece by Valerie Coleman or Jeff Scott. Any amount is greatly appreciated with donations of $100 and above mentioned in our Festival Program. Platinum level includes a 30 minute performance by Imani Winds at the event of your choice, plus 3 private lessons. Gold level donors receive 3 private lessons plus tickets to an Imani Winds concert anywhere in the world. Student's Patron will have the Scholarship named after them. 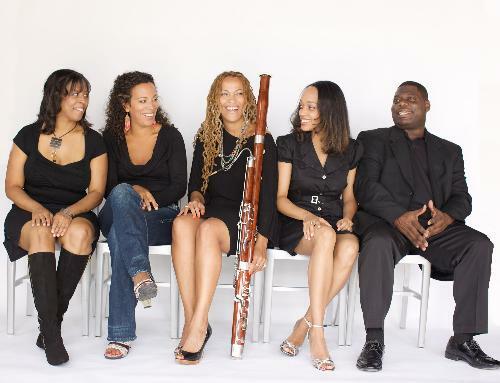 Lifeline Donor will receive a signed Imani Winds CD plus memorabilia from Imani Winds Chamber Music Festival. 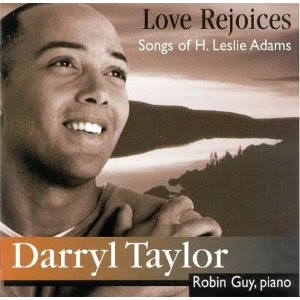 “I am interested in getting the printed vocal music of Leslie Adams in particular 'Creole Girl'"
Henry Carl Music. 7588 Middle Ridge Road. Madison, Ohio 44057. Phone: 216-231-7385. Washington, DC - (April 14, 2011) Dr. V.P. 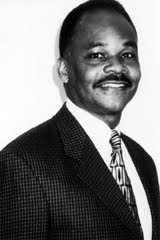 Franklin, Editor of The Journal of African American History (JAAH) for ASALH (Association for the Study of African American Life and History) was awarded the prestigious Ida B. 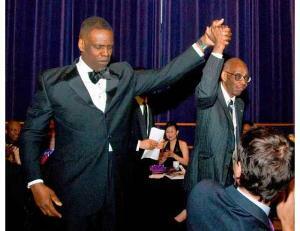 Wells and Cheikh Award from the National Council for Black Studies (NCBS). The award is given for outstanding scholarship and leadership in Africana Studies and is the organization's highest scholarly honor. The NCBS is the leading organization of Black Studies professionals in the world. The members have been at the forefront of the movement for the establishment of Africana Studies departments and programs for over 30 years. Dr. James B. Stewart, President of ASALH, Sylvia Cyrus, Executive Director and the Executive Council members extended their congratulations to Dr. Franklin for receiving this top honor. 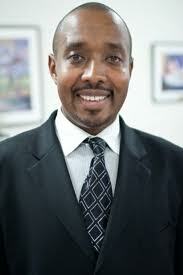 Dr. Stewart stated, "We are extremely proud of Dr. Franklin for winning this award for academic excellence. The award is well deserved and the continuous efforts and hard work have allowed the preservation of African American history that will be undeniably recorded in the annals of time for future generations." 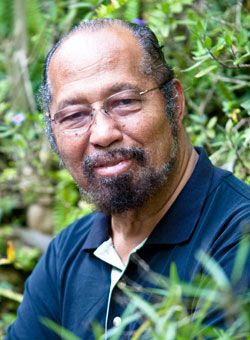 A highly respected scholar and educator, Dr. Franklin has served as JAAH Editor since 2002 and is a Distinguished Professor of History and Education at the University of California, Riverside. He also holds the University of California Presidential Chair and has engaged researchers on a broad range of disciplines and fields of study to document the history and experiences of people of African descent throughout the Diaspora. 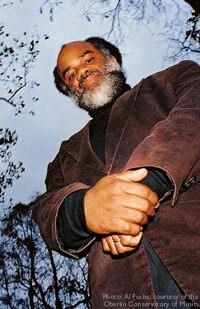 Special issues of the JAAH have examined topics ranging from the operation of the Transatlantic Slave Trade to the international and transnational dimensions of the "new Black Power Studies." 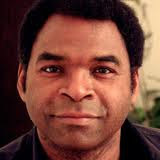 The article "The Long Movement as Vampire: Temporal and Spatial Fallacies in Recent Freedom Studies" was written by Sundiata Cha Jua and Clarence Lang and was published in the JAAH in spring 2007. It was awarded the EBSCO host American History Award from the Organization of American Historians which is given biennially "to recognize journal articles that display a path breaking character" in American history (http://www.jaah.org). Numerous books and monographs published by young researchers in African American and African Diaspora Studies over the last decade grew out of articles first published in the JAAH. Message in the Music: Hip Hop, History, and Pedagogy, an anthology co-edited by Dr. Franklin and forthcoming from ASALH Press, is an expansion of the JAAH Special Issue on "The History of Hip Hop" (Summer 2005). Upcoming special issues will feature articles including "African Americans and the History of Sport" and "California on My Mind: The Golden State in the African American Imagination." 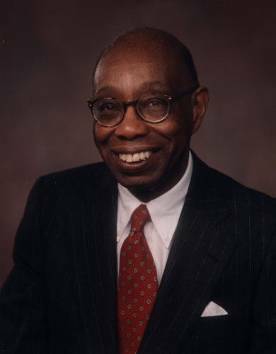 Another article, "African Americans and the Movements for Reparations" will be dedicated to the memory of Dr. Ronald Walters, an influential scholar and political activist. The centennials of ASALH and JAAH in 2015-16 will feature an endowment campaign for JAAH to insure that the scholarly legacy of Dr. Carter G. Woodson will be carried on for future generations. For more information, contact ASALH at (202) 238-5910 or visit http://www.asalh.org. Thanks for your patience. We are so happy that ~2300 students, 56 schools, and 85 teachers participated in Haiku Festival 2011’s juried event! We look forward to meeting you at our awards program. Please RSVP via email or voice mail asap. WHO: Haiku Fest Poets ages 8 to 14 will read their poems. NB: You may invite as many guests as you’d like to this free program. Haiku Festival Judges are available for year-round workshops and readings in your school. Winners must be present to receive cash awards. Please verify receipt of this info. Happy Easter! We look forward to seeing you at our 7th Annual Awards Program: Saturday, 30 April 2011, 10:00 am, Harold Washington Library, 400 South State Street. Special Guests include poet John S. O’Connor and City of Chicago Poetry Fest’s keynote, Prof. Nikki Giovanni. PS: You may invite as many guests as you’d like to this FREE program.